Anyone who is able to donate kitchen appliances to an Athens, Georgia, charity should consider contributing to American Kidney Services. Founded in 1981, our charity first partnered up with the American Kidney Fund (AKF) in 2004. Since then, we are proud to have donated all net proceeds to the AKF, a reputable organization that helps patients with renal disease pay for necessities, including prescription medications, transportation to and from treatments, and health insurance premiums. American Kidney Services strives to make the donation process as convenient as possible, which is why our donors have several options. For instance, they may choose to have one of our collection vehicles stop by their home and pick up their donations. All we ask is that they fill out our online form, place their items in a bag or box labeled “AKS,” and leave their donations on their driveway by the designated pickup date. Alternatively, donors can also leave their items in one of our drop boxes around town or at a local Value Village location. 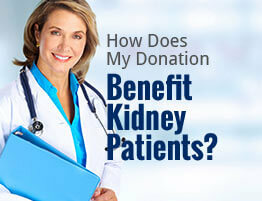 To learn more about American Kidney Services or the AKF, contact us today. We’d be happy to further explain how your decision to donate kitchen appliances in Athens, GA, can benefit kidney disease patients from all around the country.